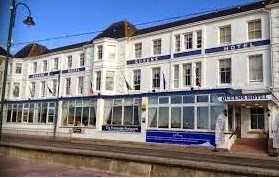 The Chamber of Commerce AGM takes place at the Queens Hotel, Promenade, Penzance at 7.00 pm on Thursday 19 March. Tea and coffee is available on arrival from 6.30 pm. Marcus Wilkinson, Chair of the BID Steering Group, will give an update on progress with the BID and the next steps taking it forward assuming a successful ballot result (due 27 March). Follow the link here for the agenda and nominations for the Committee. The deadline has nominations for Chair, Vice Chair and Membership Sec/Treasurer has been extended until 18th March!